Car accident injuries take many forms, ranging from scrapes and bruises to more severe, life-threatening injuries. The following have been identified as the most common car accident injuries. Soft tissue injuries are the most common injuries resulting from a car accident. Due to the force of impact, connective tissue such as muscles, ligaments and tendons may be damaged. Soft tissue injuries are often difficult to prove when filing an insurance claim. It is imperative that those suffering from a soft tissue injury seek immediate medical attention for a diagnosis. 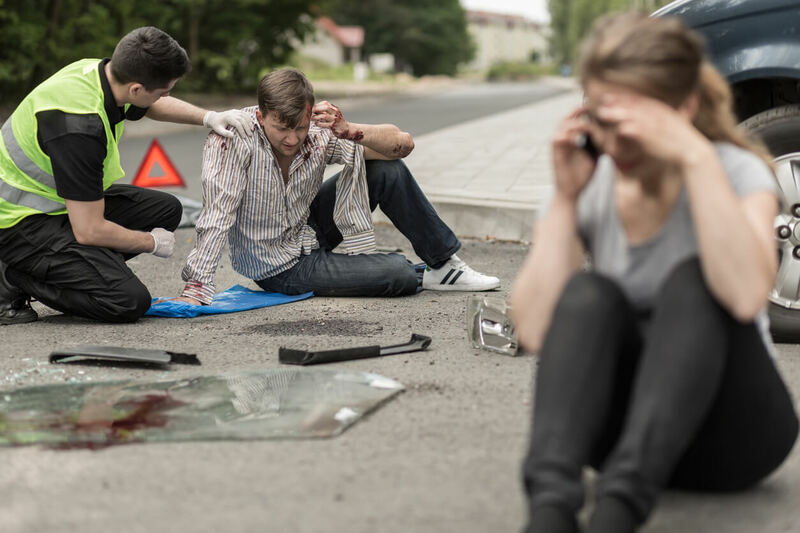 Cuts and lacerations are also common injuries suffered as a result of car accidents. Loose objects such as coffee mugs, cell phones, and eyeglasses can be thrown into the air, potentially causing injuries. In addition, glass may break, metal may be torn, and sharp edges can become exposed as a result of the collision. This form of injury may be treated with stitches or surgery. While most cuts and lacerations will heal in time, more severe cuts may lead to painful scar tissue and other long-term health complications. Car accidents may also lead to broken bones. Interior components of the car such as the dashboard, steering wheel or airbag can cause broken ribs, wrists, arms and legs. Broken bones may be treated with casts or surgery, depending on the severity of the break. While most broken bones may heal quickly with proper medical treatment, others can cause long-term damage and affect quality of life. Head injuries caused by car accidents can range from concussion to traumatic brain injuries. Often, head injuries leave little visible damage, which is why immediate medical attention should be sought for head injuries following car accidents. Sometimes injuries sustained in car accidents are not visible. Internal bleeding and damage to organs can occur in high-impact collisions. Internal injuries require immediate medical treatment. Injury to the spine, neck and back are other common car accident injuries that range in severity. The most common back injury is whiplash. Whiplash, which is a soft tissue injury, occurs when connective tissue is stretched due to sudden rapid movement. In the worst of cases, spine, neck and back injuries may also lead to paralysis or even death. Those suffering from pain in their spine, neck or back after a car accident should consult a doctor for a proper diagnosis. If you have been injured in a car accident in Southern California, call Steinberg Injury Lawyers, 24/7 at 1-800-989-6385 for your free case evaluation.